This week on the Tribal Update, the weekly satirical newscast produced by Latma, the Hebrew-language, satirical media criticism website that I run, we bring you several exceptional items. You may or may not have heard about the scandal at Israel’s Forensic Medicine Institute. Prof. Yehuda Hiss, has again come under fire when it was discovered that he had held body parts of thousands of Israelis in his institute without receiving the permission of the families of the deceased. This is not the first time he has been caught doing this and I simply do not understand why he wasn’t forced out of his position years ago. We bring you a special interview with Prof. Hannibal Hiss. You may also not have heard, but this week it was revealed that the upscale Ramat Aviv mall in Tel Aviv is barring entry to ultra-Orthodox Jews. We discuss the rationale behind the ban. Finally, we bring you a special exclusive interview with Prime Minister Bibi Netanyahu where he discusses his decision to implement the Supreme Court’s decision to destroy the homes of 30 families in Bet El. 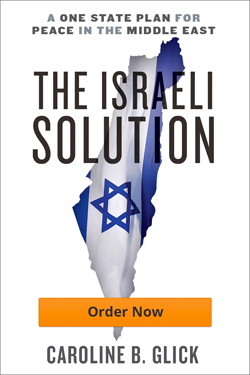 If you live outside the US, we formed a non-profit organization in Israel to accept donations from outside the US called the Zionist Incubator. Here is the information you need to make wire contributions to the Zionist Incubator for Latma. First of all, here is the link to Latma’s page for donating by credit card through PayPal. Second, here is the information you need to wire contributions to the Zionist Incubator for Latma. Bank Name: Israel Discount Bank Ltd.